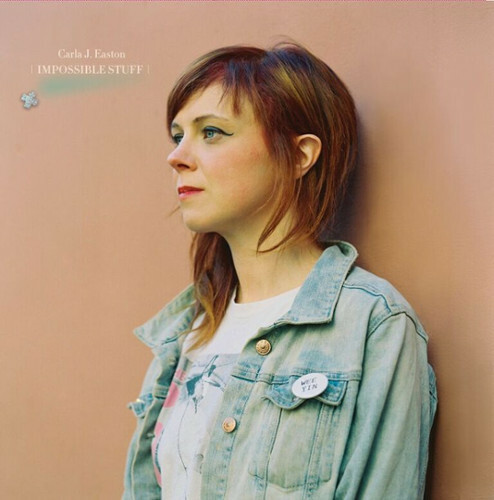 Back in January this year, we introduced you to Glasgow singer-songwriter Carla J. Easton and her gorgeous Lights in The Dark single. Since then she has been putting the finishing touches to her second solo album Impossible Stuff, which was released last week to great reviews from the likes of the Scottish Sun, the List, the Skinny, and Louder Than War. Produced by former Arcade Fire drummer, Howard Bilerman, at his Hotel2Tango studio in Montreal, her new album is a glorious feast of intelligent indie pop songs that fizz with exuberance and lovingly crafted textures. With echoes of early Arcade Fire in the opening piano build up, this uplifting and stomping delight is one of the album’s standout tracks that will have you smiling along to its joyful finale. She is currently on a tour of the UK and tonight, she will be playing the Seabright Arms in London, so if you are free, we recommend you popping down. Anthemic, bold and innovative indie-pop.